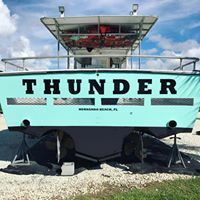 The 42' THUNDER was built in 1995 to serve as a "shallow" water party boat off the coast of Hernando Beach. Drafting just 3 1/2' of water it is well suited for the shallow nearshore waters of the Gulf, yet is stable enough to go out 30-40 miles offshore. With twin diesel engines, she can cruise 16-18mph. Seating is under an open air canopy. The Thunder has one head (restroom). Captain Chaz was born and raised in Hernado Beach Florida. By the time he was 8 years old, he had his own skiff and was fishing the waters of the area. As a teen he worked as a mate and began the process of getting his captain's license. At 18, he started putting in time in the wheel house of Thunder. 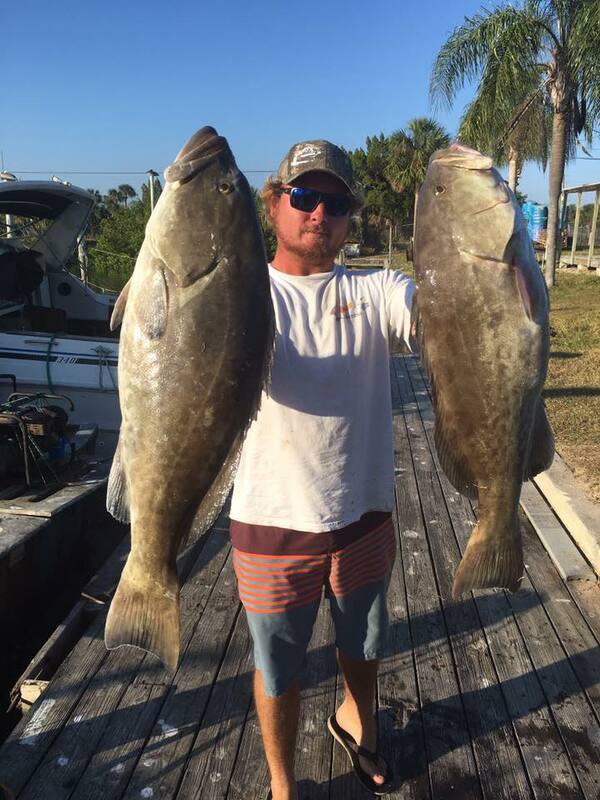 In October, 2015, he purchased the Thunder and is the proud owner/captain of one of the few party boats operating north of Hudson, Fl. on the west coast of Florida. 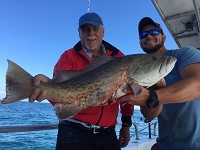 First mate Curtis was also raised in the Hernando Beach area and has done more than his share of fishing in this area. 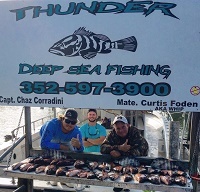 He and Chaz have been friends for as long as they can remember so when the opportunity opened for him to be first mate on the Thunder in mid 2016, came aboard. He really enjoys helping people catch fish.